Sleeperz Hotel Cardiff, on Saunders Road, set up the left luggage scheme after agreeing to support Cardiff-based charity The Huggard Centre as one of its official partners. The Huggard Centre works to tackle homelessness in the Welsh capital and runs a day centre that is open 365 days a year, a 20 bed hostel and 14 shared houses with support for 53 tenants. 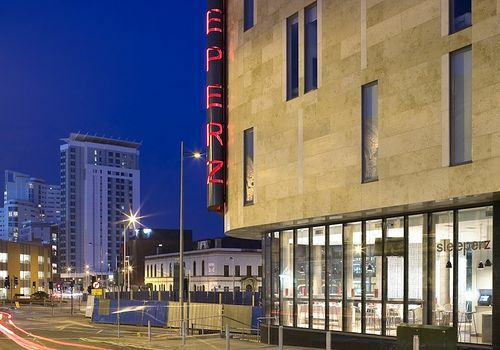 Laura Peeroo, general manager at Sleeperz Hotel Cardiff, said: “We opened in Cardiff in 2008 and have a real passion for the city where we do business. Like me, many of our team are locals, and we wanted to do something positive for our city and community. In only seven months, the hotel raised £2357.47 from luggage donations and Sleeperz Hotels Ltd, a premium budget hotel company with four UK hotels, agreed to donate an additional £500. Rob Milligan, social enterprise manager at The Huggard Centre, said: “A huge thank you to the staff and customers of Sleeperz. I was really impressed by the idea and how well it worked. The Huggard Centre supports homeless people to break the cycle of rough sleeping and provides temporary accommodation, as well as ongoing personal support, development, advocacy, training and many volunteering and work-focussed opportunities.